Crochet tops are a great way to add a summery feel to any outfit. You can layer them over a tank, or wear them with a bralette. You can wear them with skirts, shorts, jeans, or you can even wear them as bathing suit cover-ups – they’re surprisingly versatile. This particular top is from Forever 21. Last year I lucked out and found it on sale for around $15 during one of their end of season sales. A great way to save money on your shopping habit is to shop sales like these. 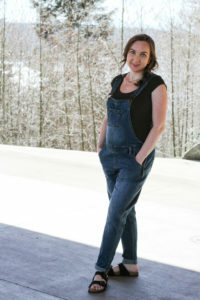 Stores are trying to get rid of their old stock to make room for the newer styles, and you can usually find good deals. The two best times of the year are the end of December into January, as well as September. While shopping, focus on items that are still current, but not extremely trendy. If you get things that are really trendy you risk not liking it very much when the seasons change and it becomes time to wear it. Focussing on more classic pieces, and items that you truly love is the best way to shop for out of season items. 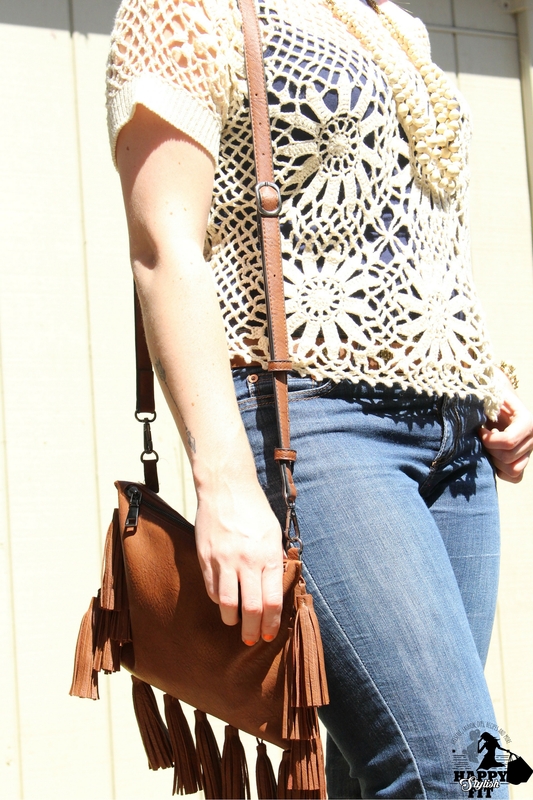 To keep the boho vibe of the crochet top you can accessorize it with boho jewelry and add a little fringe. These boho jewelry pieces are from 31 Bits. They’re super cute handmade artisan pieces made from women in Uganda who are empowered by the jobs they receive through the 31 Bits program. Surprisingly all pieces are made out of paper, I would have never guessed! 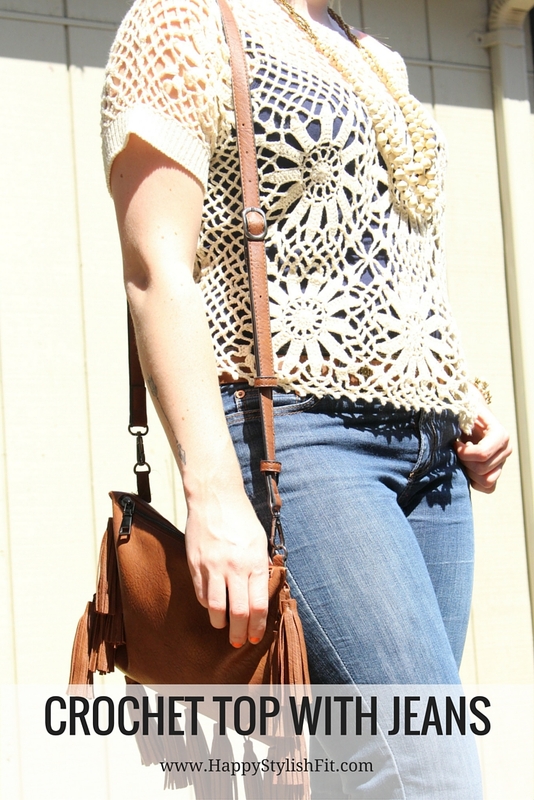 Fringe and tassels are so on trend right now, and they go perfectly with a crochet top. You could style it like I did, with this cute fringe bag from Winners, or you could try incorporating fringe and tassels in a different way. Shoes are a fantastic way to showcase some fringe, or you could keep the boho vibes with a cute tassel necklace. Another trend that is very hot at the moment is cat eye sunglasses, and I’m slightly obsessed! These cat eye sunnies are from Urban Behaviour and were only $10. I don’t invest in sunglasses because they seem to always get broken or lost. $25 or under is the magic price point for me. Is there anyone else that can’t hold on to sunglasses for more than a year? I can’t be the only one.